Save your best friend and an entire 1950s town from a terrifying threat! Your dearest friend, the journalist Helen Hunter, traveled to the coastal town of Serpent Creek to report on the Serpent Festival. Now she’s missing, and the last phone call she made was to you. As a paranormal private investigator, Helen wanted you to weigh in on some frightening things she’d discovered. She asked you to come immediately. The first thing you see upon arriving in Serpent Creek is a humanoid, snake-like creature. Clearly, Helen’s fears were not groundless. It seems the town’s streets are crawling with snakes, the ground shakes with violent tremors, people are sleepwalking and, to make matters worse, no one remembers a blonde journalist. Investigate mysterious locations and solve challenging puzzles to piece together clues about what happened to Helen. Reveal the evil that clutches this crippled town and stop a nefarious plot to bring the Snake God back to our world! 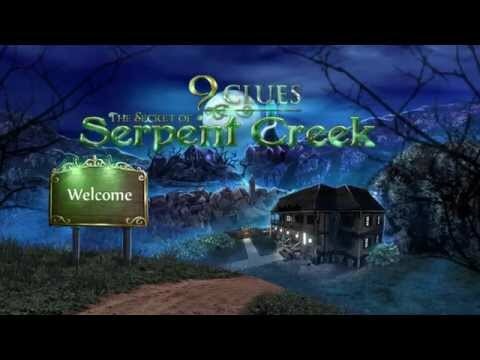 9 Clues: The Secret of Serpent Creek © 2014 - 2019 Artifex Mundi Ltd. Published by G5 Entertainment AB. G5 Games and G5 Entertainment are registered trademarks of G5 Entertainment AB. Mac and the Mac logo are trademarks of Apple Inc. registered in the U.S. and other countries. All other trademarks and copyrights are the property of their respective owners.